Vintage107A A lot of over 125 vintage mostly Marx figures with a few accessories of 19th century armies. All are Damaged but still useable for converting , casualties or even for normal use because some are not too bad.Mostly Marx civil war, Indian wars, cowboys, Indians, and a few Rev War and Alamo Mexicans etc. 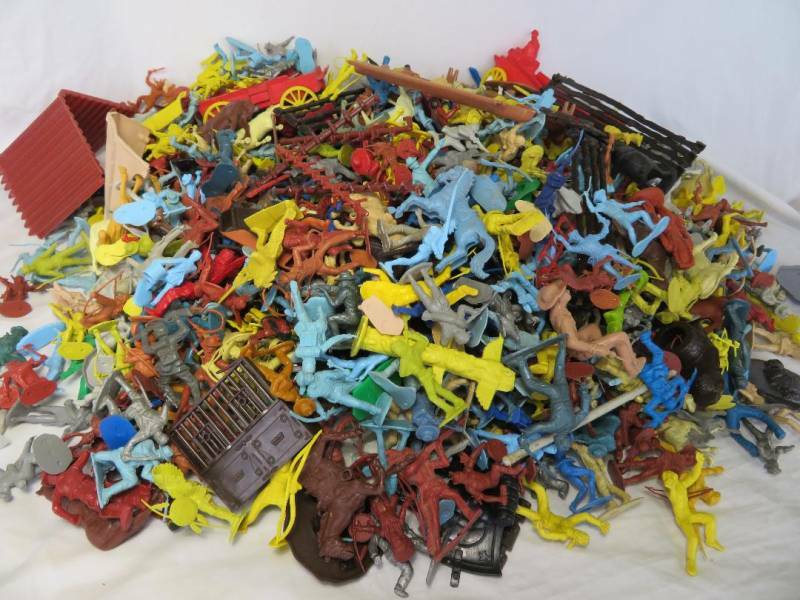 Other companies include, Lido, Tim Mee, Payton and Auburn Rubber- probably at least one Marx character figure in each lot.